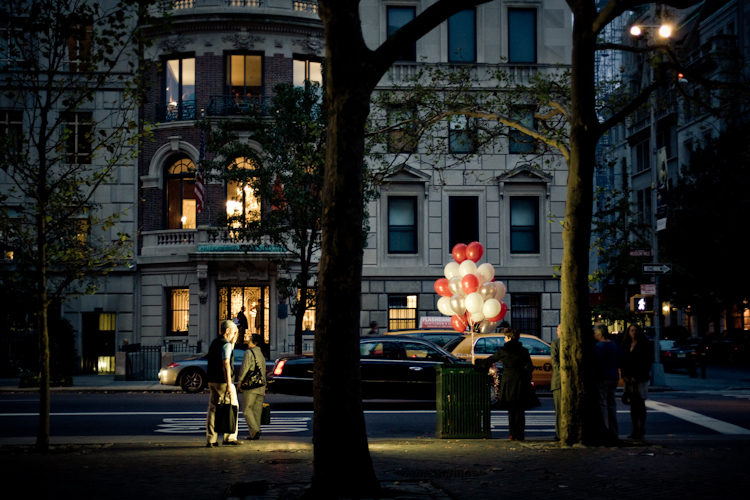 you've never been so excited to see a woman with balloons under a street light. this is really nice. i likeitalot. Seriously.... do you just sit places waiting for these things to happen? Love it man. Perfect.